Central Florida Community Arts is proud to present a concert version of Guys and Dolls as its 2015 Summer Broadway Series production. Proceeds from the performance will benefit the CFCArts Youth Outreach Program. 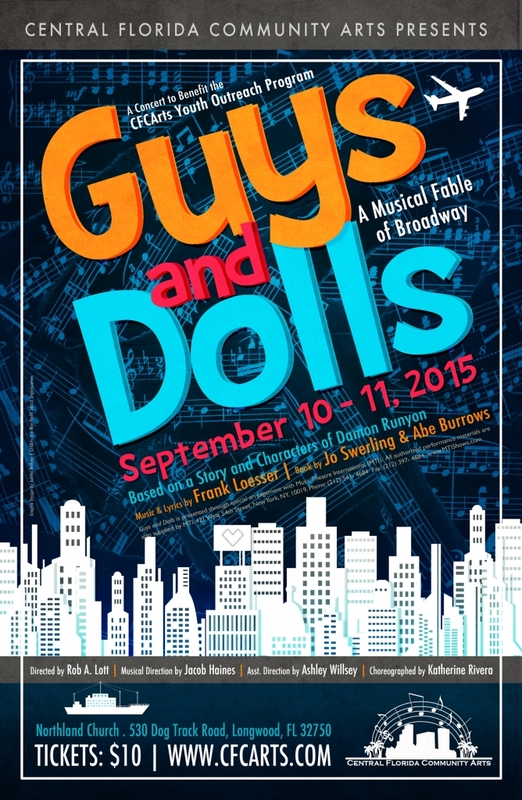 Guys and Dolls will be held at Northland Church at 7:30pm on Thursday, September 10 and Friday, September 11. General admission tickets are $10 each, priority seating tickets are $25 each, premium seating tickets include a show poster signed by the cast and are $50 each, and children age 3 and under will be admitted for free.